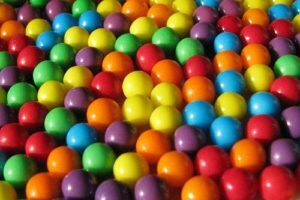 Food Additives and Ingredients Association | Can artificial colours cause hyperactivity? A number of artificial food colours have been implicated in causing hyperactivity in children. As a result, several of these are being voluntarily phased out in the UK. In 2007, scientists at Southampton University, funded by the UK Food Standards Agency, reported the results of a study which they claimed showed that two different mixtures of artificial colourings and the preservative sodium benzoate affected the behaviour of 3-year-old and 8-year-old children. Scientists on the UK Committee on Toxicology reviewed the results for the FSA, but were less convinced that there was any effect. They noted that the observed changes in behaviour were only small, and drew attention to inconsistencies in the results across the two age groups, and between the two mixtures of additives used in the study. However, the evidence overall led the FSA to issue new advice to parents and to encourage UK manufacturers to work towards finding alternatives to these colours. “scientific evidence which is currently available, including the so-called ‘Southampton Study’, did not substantiate a causal link between these individual colours and possible behavioural effects”. Despite this, EU Member States and MEPs have agreed on the need for EU-wide legislation in this area. All foods containing these colours now have to be labelled ‘may have an adverse effect on activity and attention in children’. The latest advice from the UK Food Standards Agency is that a child showing signs of hyperactivity might be helped by eliminating the artificial colours that the Southampton researchers used from the diet. These are listed below. At the same time, it reminds parents that there are many factors associated with this complex condition.